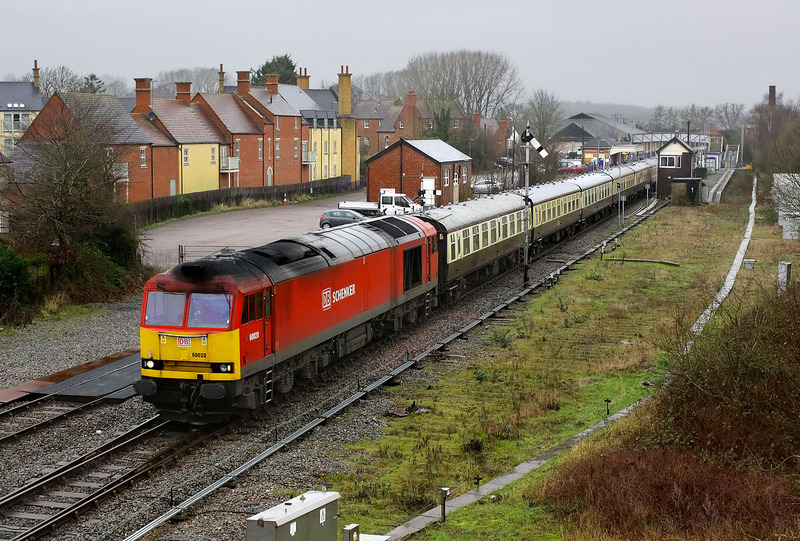 60020 passes through Moreton-in-Marsh station at speed on 2 January 2016 with the Pathfinder Tours 'Min Tug' railtour. The train, which had started from Bristol Parkway, was at this point running as the 1Z61 09:55 Round Oak to Oxford. I wasn't going to miss the chance of getting a picture of a Class 60 on the Cotswold Line, despite the dire weather, and this location has the bonus of a couple of semaphore signals.